Probably the most popular VCL components package for creating linear and clocked 1D barcode symbols. 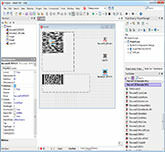 No.1 professional 2D barcode generating components package for Delphi and C++ Builder. Professional 2D barcode FireMonkey components package for RAD Studio XE2-XE8, All of the Android, 32- and 64-bit iOS, OS X, 32- and 64-bit Windows are supported. Automatically backs up your critical data to a local disk, the network neighborhood or FTP server. It can work as a NT service. Create your own NTP/SNTP time server to synchronize all your devices' clock, including computer, PAD, smart phone, IP camera, etc. Use SSH tunnel to secure and encrypt your web, email, etc communications on Internet. Create SSH tunnel proxy. The 1D Barcode VCL components is a set of VCL components designed for generating and printing 1D barcode symbols in your Delphi or C++ Builder application. Both 32- and 64-bit VCL components are included. Most popular linear and postal barcode symbologies are supported. The database functionality is supported. Most popular report systems are supported. All modern Delphi and C++ Builder are supported, from Delphi 3 to Delphi 10.3 Rio, and from C++ Builder 4 to C++ Builder 10.3 Rio. The 2D Barcode VCL components is a set of VCL components designed for generating and printing 2D barcode symbols in your Delphi or C++ Builder application. Both 32- and 64-bit VCL components are included. Most popular matrix, stacked barcode symbologies and EAN.UCC composite symbologies are supported. The database functionality is supported. Most popular report systems are supported. All modern Delphi and C++ Builder are supported, from Delphi 4 to Delphi 10.3 Rio, and from C++ Builder 4 to C++ Builder 10.3 Rio. The 2D Barcode FMX components is a set of FireMonkey components designed for generating and printing 2D barcode symbols in your Delphi or C++ Builder application. 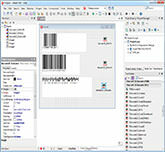 Most popular matrix and stacked barcode symbologies are supported. The database functionality is supported. All of the Mac OS X, 32- and 64-bit iOS, Android, 32- and 64-bit Windows platforms are supported. Supports RAD Studio XE2, XE3, XE4, XE5, XE6, XE7, XE8, 10 Seattle, 10.1 Berlin Update 2, and 10.2 Tokyo Update 3, 10.3 Rio. The Auto Backup Software automatically backs up your critical data to a local disk, the network neighborhood or remote FTP server. It can work as a NT service too. You can create multiple backup tasks. Files can be selected to restore them to the original or a new location. Integrated compression, encryption, and password protection are included, also you can create self-restoring archives. The time synchronization application allows you to synchronize your PC's system clock or all PC's system clock in your LAN using various time server types commonly available on TCP/IP networks, such as the Internet or LAN. It can work as SNTP/Time server or client, and multiple time protocols are supported. It can work as Windows NT4/2000/XP/2003/Vista/7/8 service, too. This application allow you to create and manage multiple SSH tunneling or port forwarding. It will be used for forward otherwise insecure TCP traffic through encrypted SSH Secure Shell tunnel. You can secure for example DATABASE, POP3, SMTP and HTTP connections that would otherwise be insecure. The remote forwarding, local forwarding and dynamic forwarding are supported. We have released a new 7.0.2.849 version of 2D Barcode FMX Components. The Delphi and C++ Builder 10.3.1 Rio Update 1 are supported. We have released a new 10.0.2.2536 version of 2D Barcode VCL Components. The Delphi and C++ Builder 10.3.1 Rio Update 1 are supported. We have released a new 10.0.2.2183 version of 1D Barcode VCL Components. The Delphi and C++ Builder 10.3.1 Rio Update 1 are supported. We have released a new 7.0.1.846 version of 2D Barcode FMX Components. 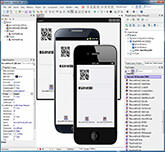 The Delphi and C++ Builder 10.3 Rio are supported. We have released a new 10.0.1.2533 version of 2D Barcode VCL Components. The Delphi and C++ Builder 10.3 Rio are supported. We have released a new 10.0.1.2179 version of 1D Barcode VCL Components. The Delphi and C++ Builder 10.3 Rio are supported. We have released a new 6.3.2.826 version of 2D Barcode FMX Components. The Delphi and C++ Builder 10.2 Tokyo Update 3 (3231) are supported. We have released a new 9.3.2.2513 version of 2D Barcode VCL Components. The Delphi and C++ Builder 10.2 Tokyo Update 3 (3231) are supported. We have released a new 9.3.2.2153 version of 1D Barcode VCL Components. The Delphi and C++ Builder 10.2 Tokyo Update 3 (3231) are supported. We have released a new 6.3.1.823 version of 2D Barcode FMX Components. The Delphi and C++ Builder 10.2 Tokyo Update 3 are supported. We have released a new 9.3.1.2510 version of 2D Barcode VCL Components. The Delphi and C++ Builder 10.2 Tokyo Update 3 are supported. We have released a new 9.3.1.2149 version of 1D Barcode VCL Components. The Delphi and C++ Builder 10.2 Tokyo Update 3 are supported. We have released a new 6.2.4.820 version of 2D Barcode FMX Components. The Delphi and C++ Builder 10.2 Tokyo Update 2 (2004) are supported. We have released a new 9.2.4.2507 version of 2D Barcode VCL Components. The Delphi and C++ Builder 10.2 Tokyo Update 2 (2004) are supported. We have released a new 9.2.4.2146 version of 1D Barcode VCL Components. The Delphi and C++ Builder 10.2 Tokyo Update 2 (2004) are supported. We have released a new 6.2.3.817 version of 2D Barcode FMX Components. The Delphi and C++ Builder 10.2 Tokyo Update 2 are supported. We have released a new 9.2.3.2504 version of 2D Barcode VCL Components. The Delphi and C++ Builder 10.2 Tokyo Update 2 are supported. We have released a new 9.2.3.2142 version of 1D Barcode VCL Components. The Delphi and C++ Builder 10.2 Tokyo Update 2 are supported. We have released a new 9.2.1.2476 version of 2D Barcode VCL Components. The Delphi and C++ Builder 10.2 Tokyo Update 1 are supported. We have released a new 9.2.1.2115 version of 1D Barcode VCL Components. The Delphi and C++ Builder 10.2 Tokyo Update 1 are supported. We have released a new 6.2.1.793 version of 2D Barcode FMX Components. The Delphi and C++ Builder 10.2 Tokyo Update 1 are supported. We have released a new 9.1.1.2470 version of 2D Barcode VCL Components. Repair memory leak (thanks Goekhan Gercin), repair encoding error in QR Code, and many other bugs. Optimize encoding method. The Delphi and C++ Builder 10.2 Tokyo hotfix are supported. We have released a new 9.1.1.2110 version of 1D Barcode VCL Components. Repairs several encoding problems, and many other bugs. Optimize encoding method. The Delphi and C++ Builder 10.2 Tokyo hotfix are supported. We have released a new 6.1.1.789 version of 2D Barcode FMX Components. Repair encoding error in QR Code, Repairs several encoding problems, and many other bugs. Optimize encoding method. The Delphi and C++ Builder 10.2 Tokyo hotfix are supported. Copyright©2001, 2019 Han-soft software, all rights reserved (Ver: 3.4.3.1593).